Assassin’s Creed is undoubtedly one of the biggest video game franchises of all time, with Ubisoft’s games having sold almost 100 million copies to date, and the likes of Assassin’s Creed II being amongst the best video games ever made. So it’s clear that Assassin’s Creed means a lot to many gamers, even if some were upset by the fact that there won’t be a major game in the series this year, even if Ubisoft did release two more instalments of the pretty good Assassin’s Creed Chronicles spinoff and The Ezio Collection remaster last November. And of course, there’s the big-budget movie starring Michael Fassbender and Marion Cotillard which will be hitting the theatres in late December, just a few short weeks from now. And even if video game movies have a history of disappointing both critics and moviegoers alike, perhaps this upcoming Assassin’s Creed will be able to break the video game movie curse and end up being a success. The movie’s final trailer does make it clear this movie will have high production values, and that Ubisoft (which is involved in the movie’s production through its Ubisoft Motion Pictures studio) is pulling out all the stops to make sure this will be a great debut on the silver screen for its Assassin’s Creed franchise. 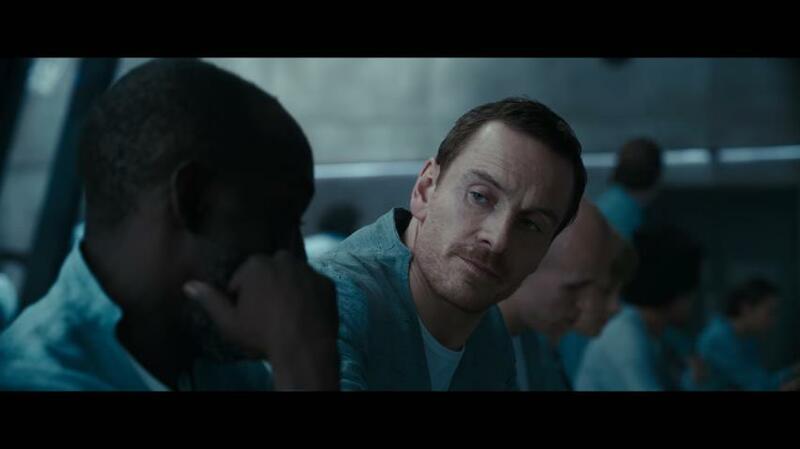 The trailer also shows Fassbender’s character wandering about Abstergo’s headquarters (which appear to be impressively realized in the film, truth be told), plus Ubisoft has also released another clip showing a scene in Abstergo’s cafeteria (see below). Of course, no matter how good this Assassin’s Creed movie turns out to be, it will be competing with the highly anticipated Star Wars spinoff Rogue One this December, but it would be great if this movie based on one of the most loved video game series of all time ended up being a success this holiday season nonetheless.